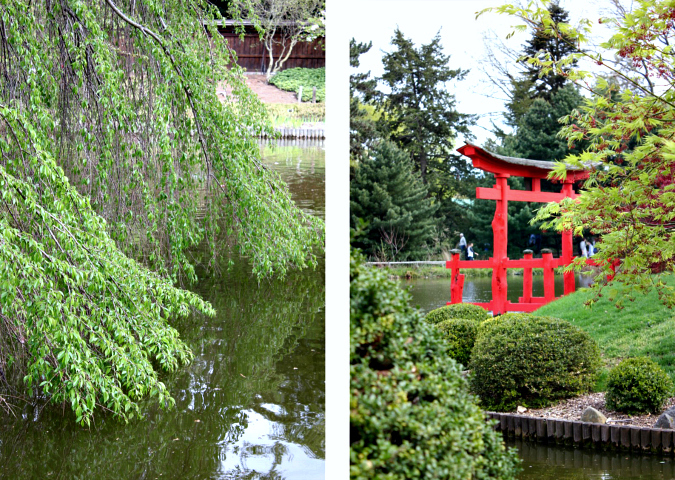 in addition to seeing the cherry blossom trees at the brooklyn botanic garden on sunday, we also enjoyed walking around to see everything else that was in bloom. there were tulips galore in every color imaginable! 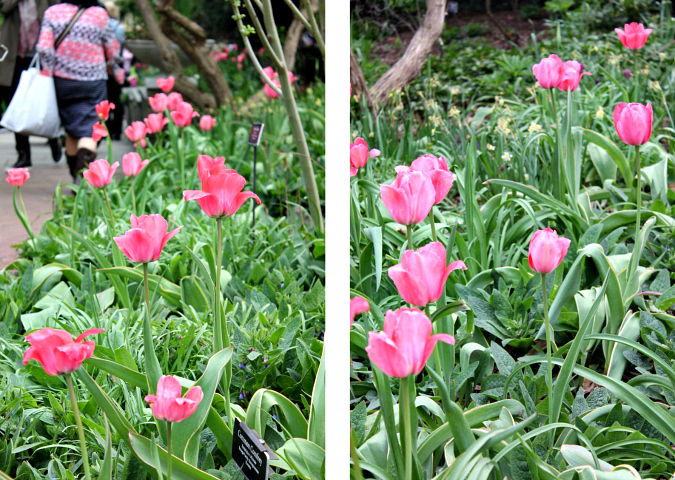 ryan kept saying, "i didn't know there were so many different types of tulips!" we felt like we were in holland surrounded by so many tulips. each one more gorgeous than the last. 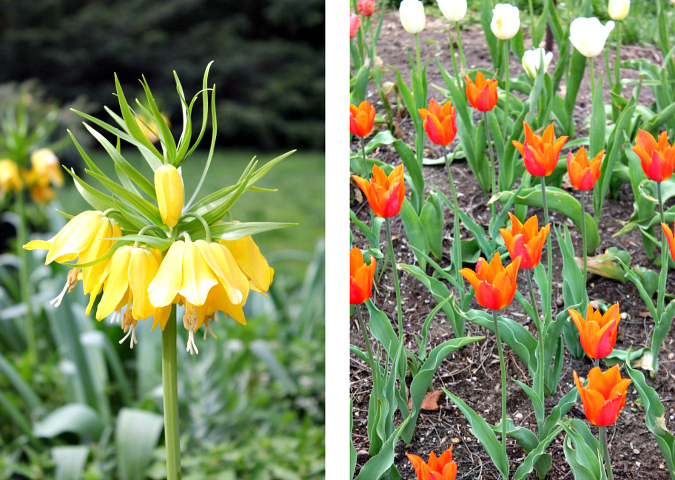 we're so glad we got the chance to visit the brooklyn botanic garden while so much was blooming. despite the crowds, it was so lovely to walk around and see all of the colorful flowers! What beautiful tulips and variety. Sure has MW beat. 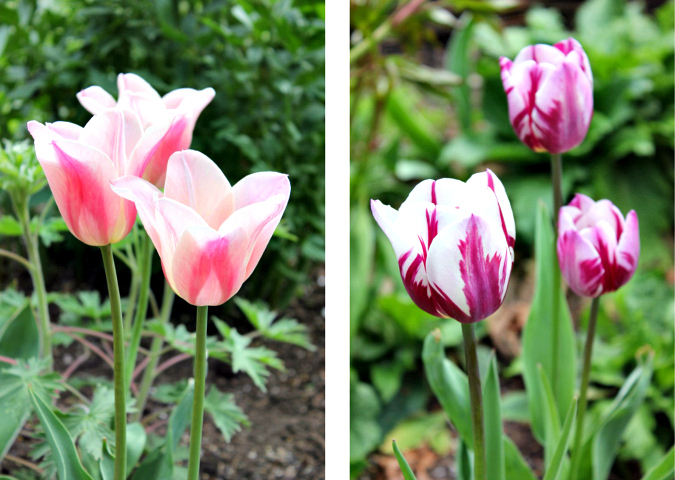 The tulips are all so beautiful that I would have trouble picking a favorite.